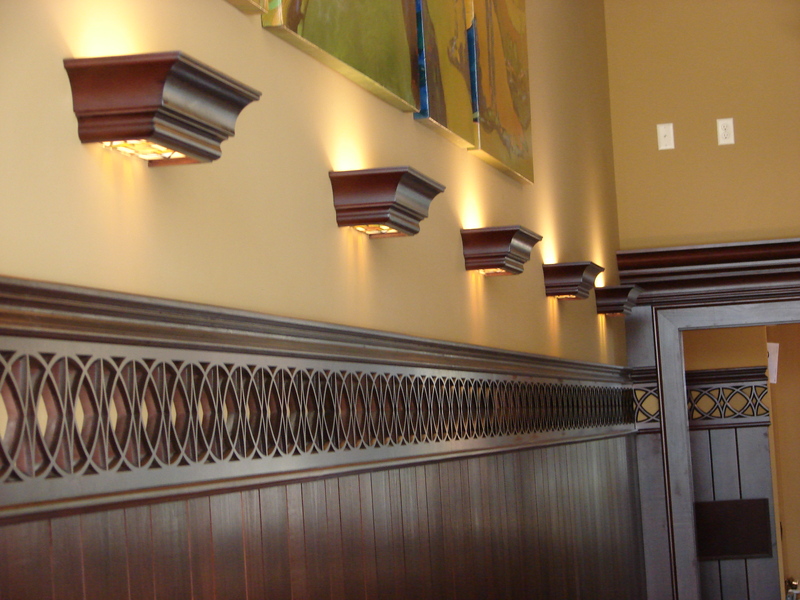 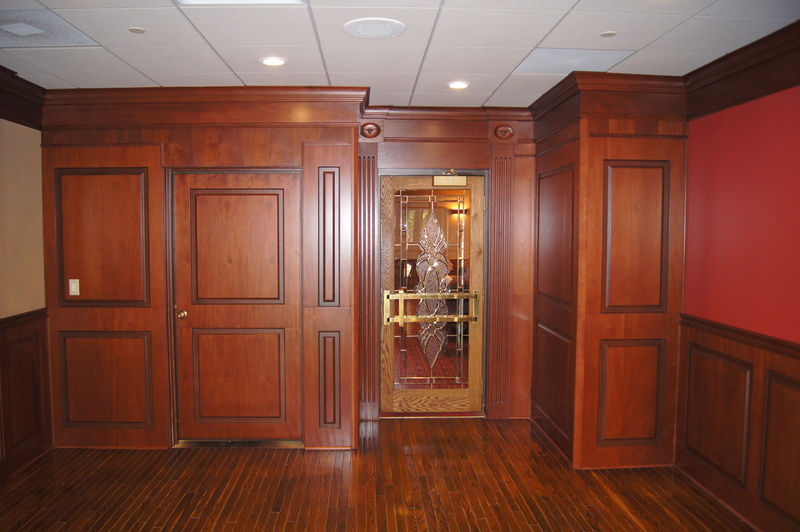 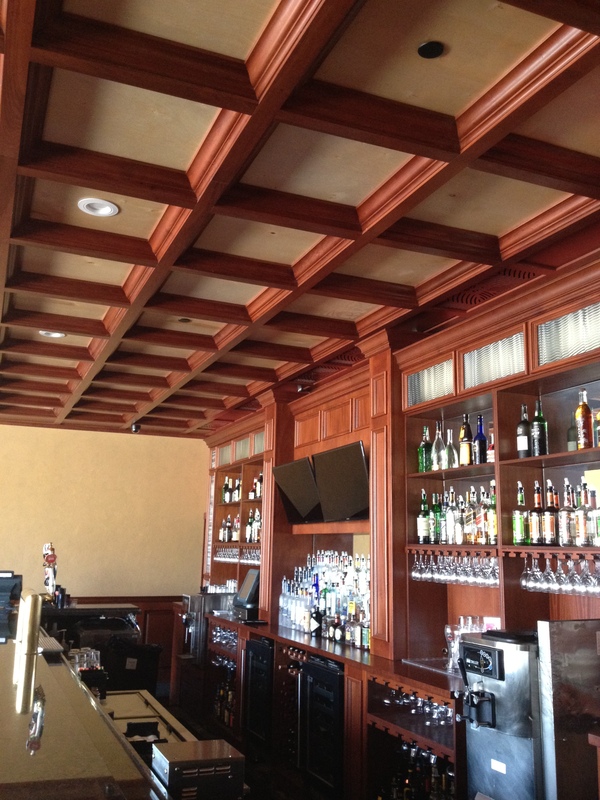 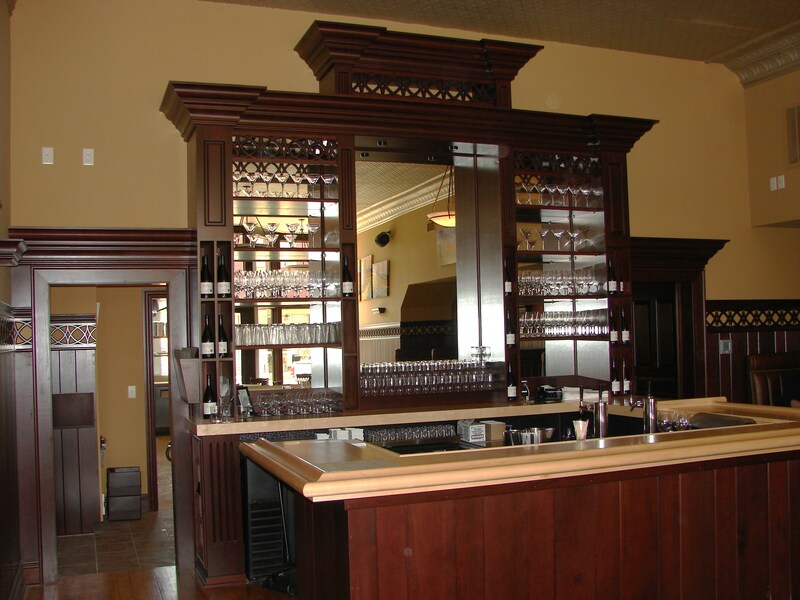 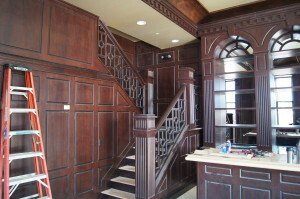 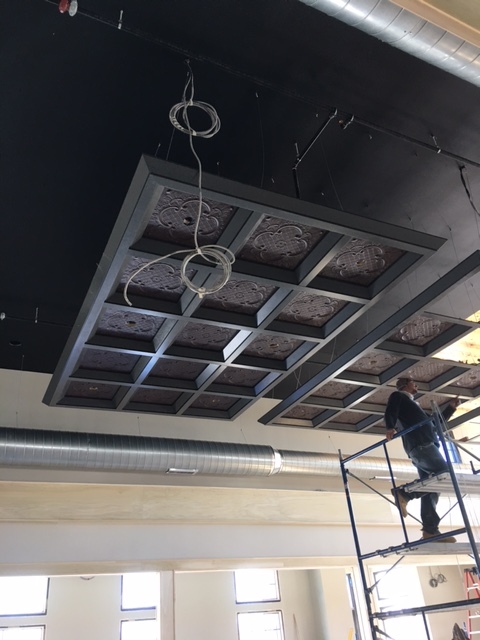 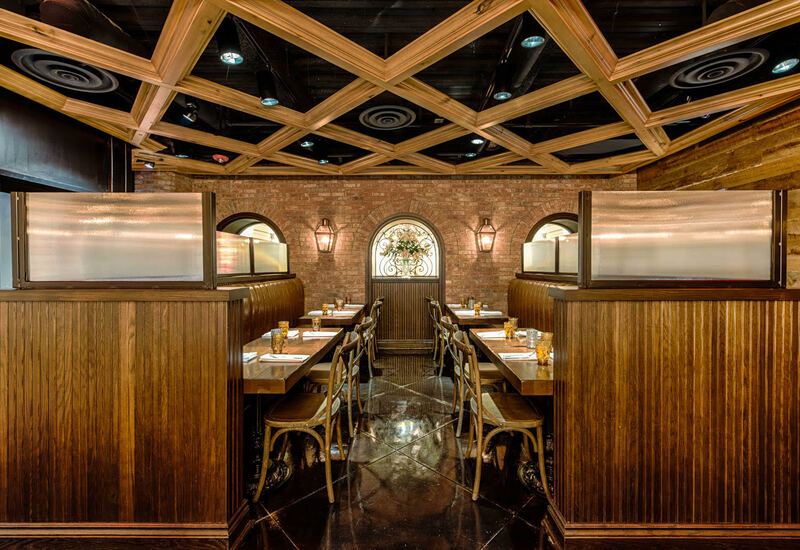 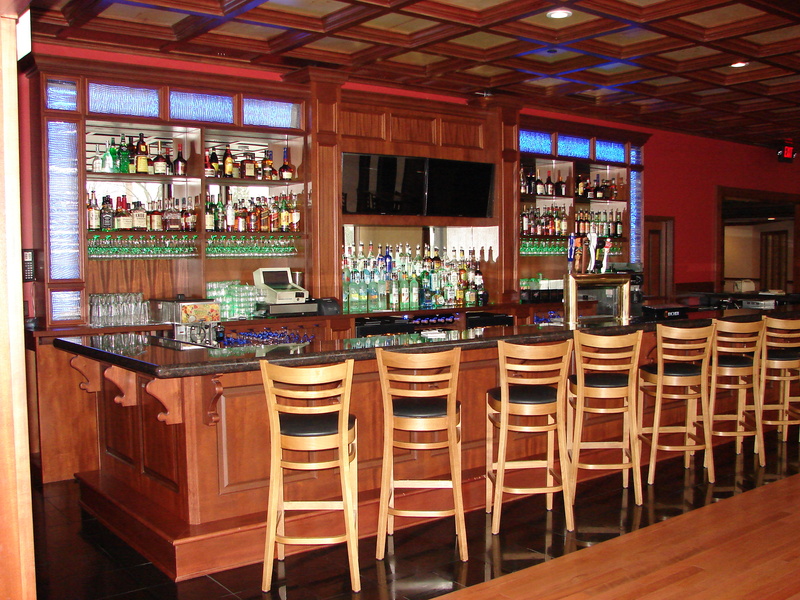 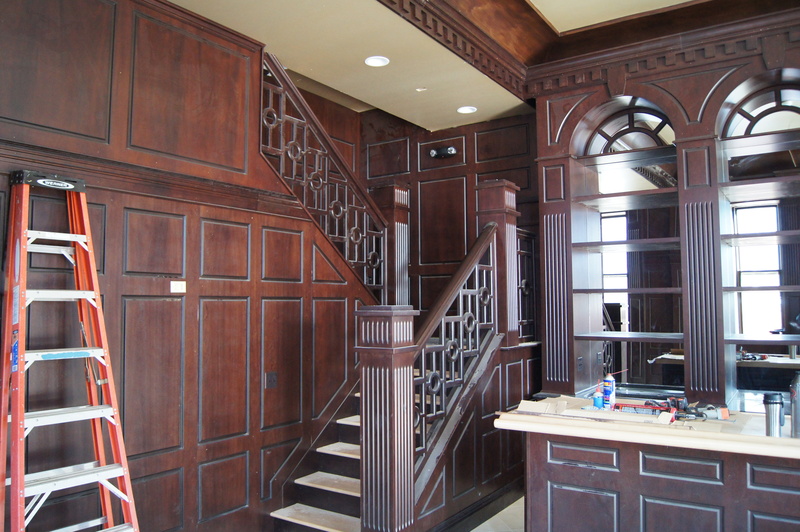 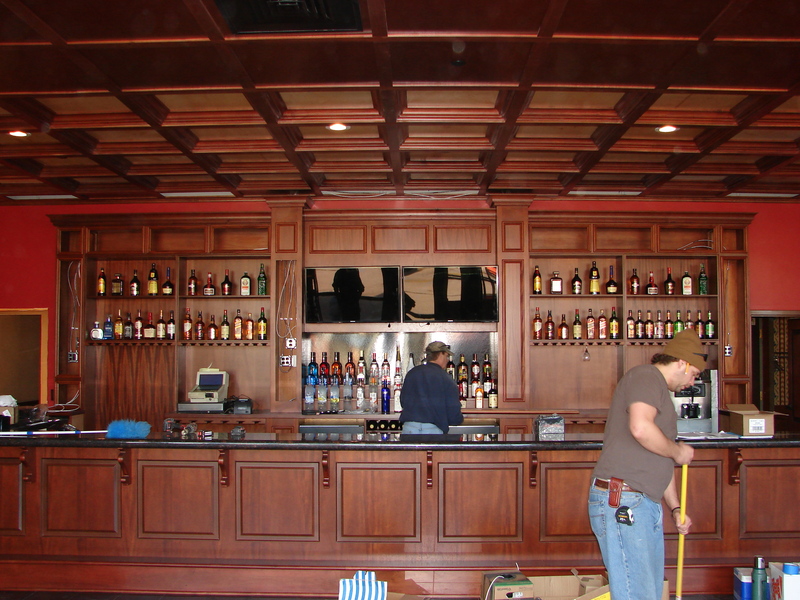 Midwestern Wood Products offers a wide variety of millwork for bars and restaurants, including the WoodGrid®Ceiling System, bar rail, PanelTrim Wainscoting, columns, casing and base and much more. 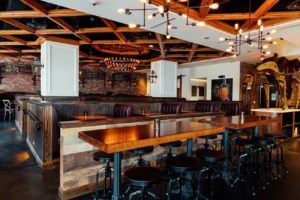 This restaurant is actually in National Harbor MD and was the first of two Succotash restaurants in the area. 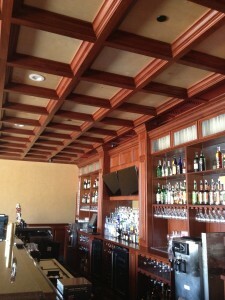 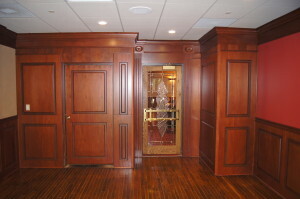 They used our Deep Coffer style, open back, in Rustic Poplar. 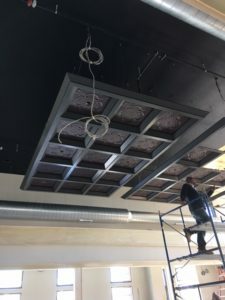 The coffers were 4′ x 4′. 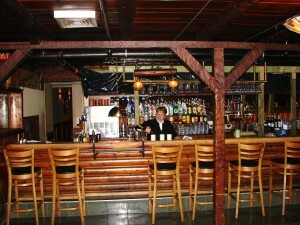 For more info on this restaurant, visit Succotash. 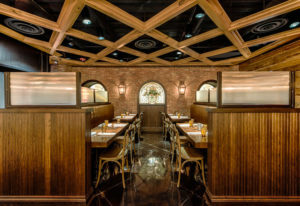 Below is the new Succotash Restaurant in the District. 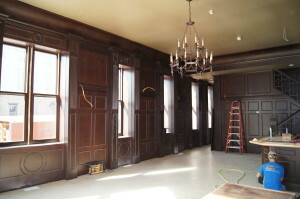 They refurbished an historic bank. 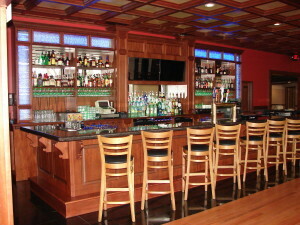 For more info on this restaurant, visit Succotash 2. This bar needed to be updated. 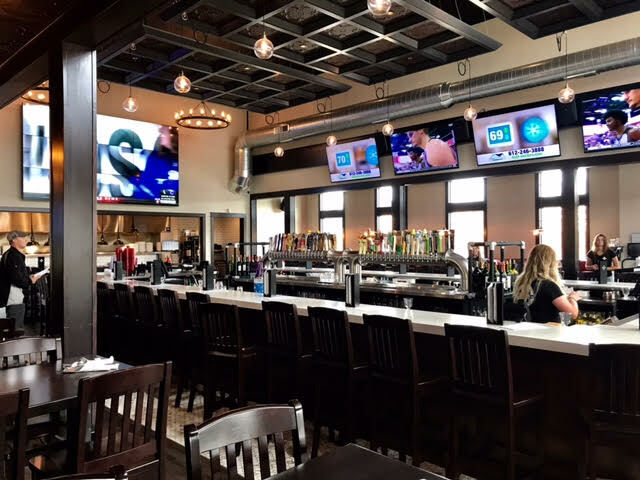 The owner wanted a more contemporary look to attract new crowds but also wanted to maintain a warm and inviting atmosphere that would appeal to existing clientele. 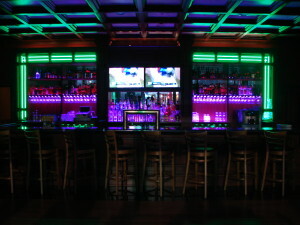 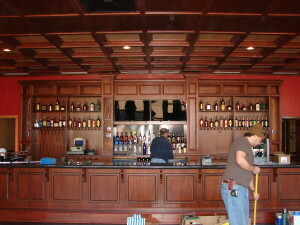 The back bar incorporated LED color-changing lighting to add interest. 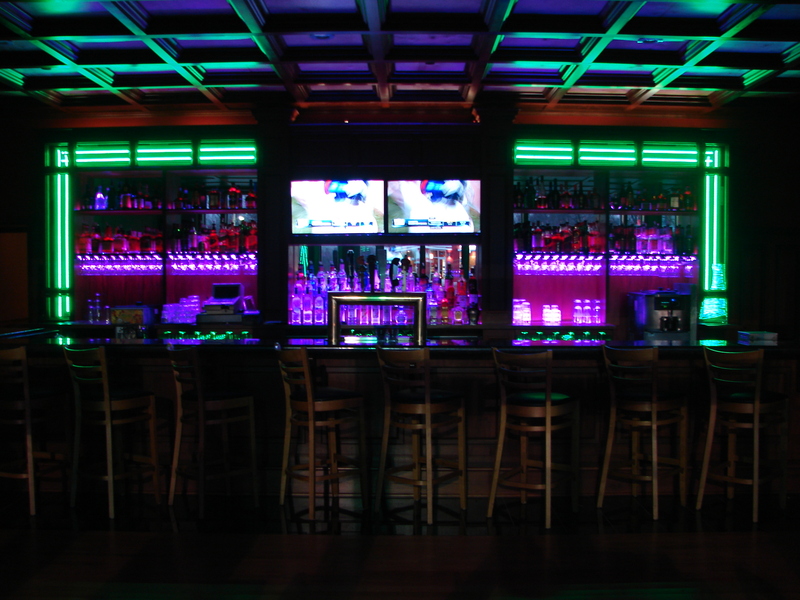 The colors help set the mood for themes such as green for St. Patrick’s Day. 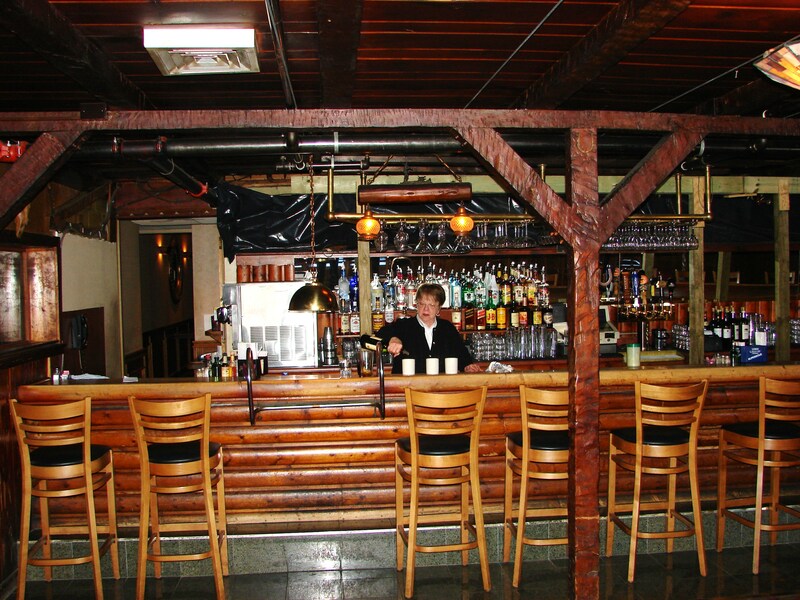 For more info on this restaurant, visit The Lariat Steakhouse. 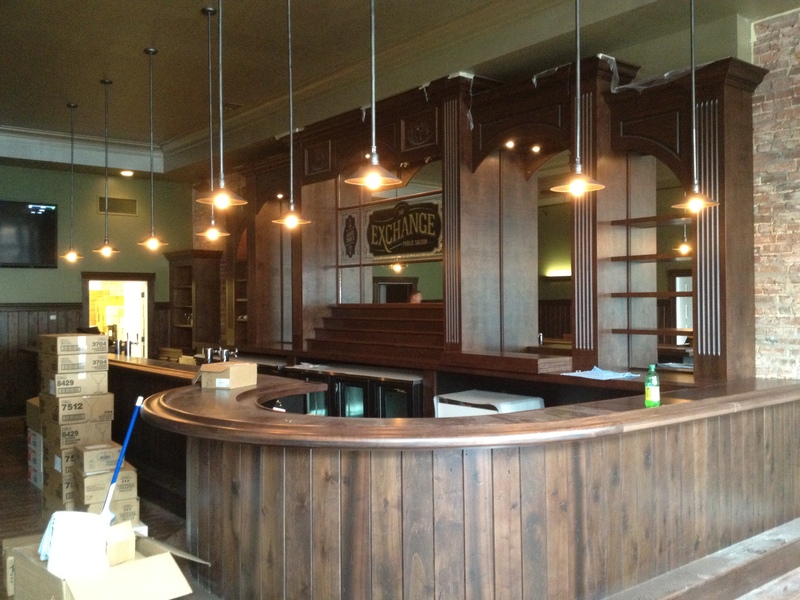 This is a new bar in an old building. 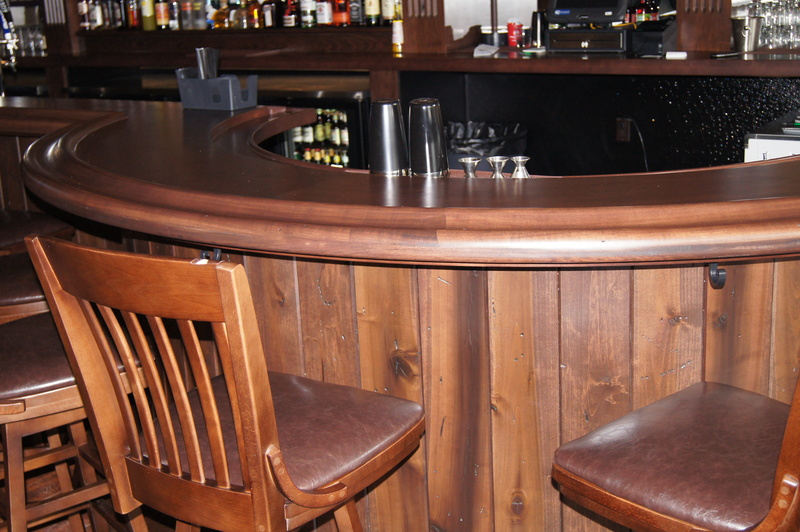 The owner wanted a rustic contemporary look to attract young patrons. 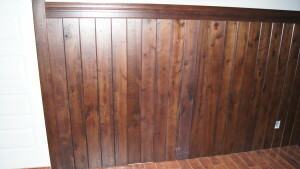 We used distressed knotty Poplar with a saddle-brown color. 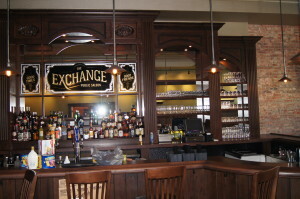 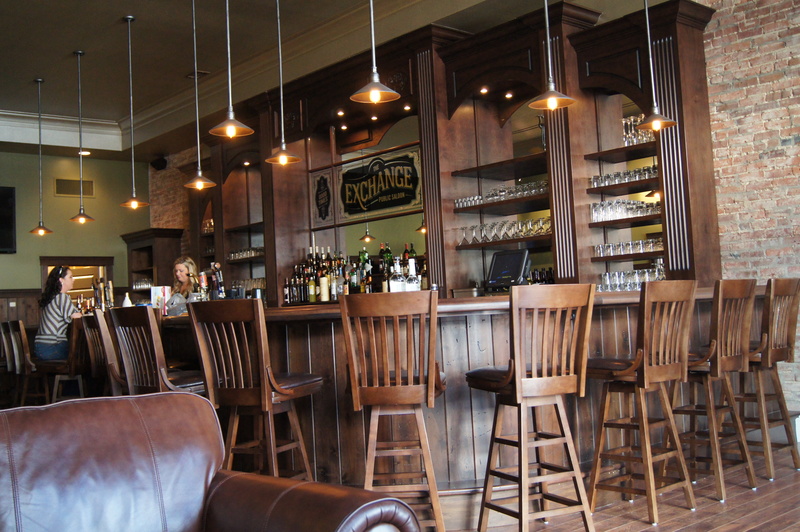 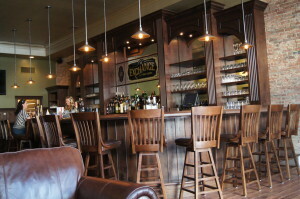 For more info on this bar, visit The Exchange. 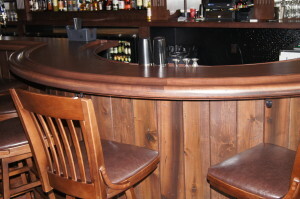 Our bar rail is 5-1/2″ x 2-3/16″. 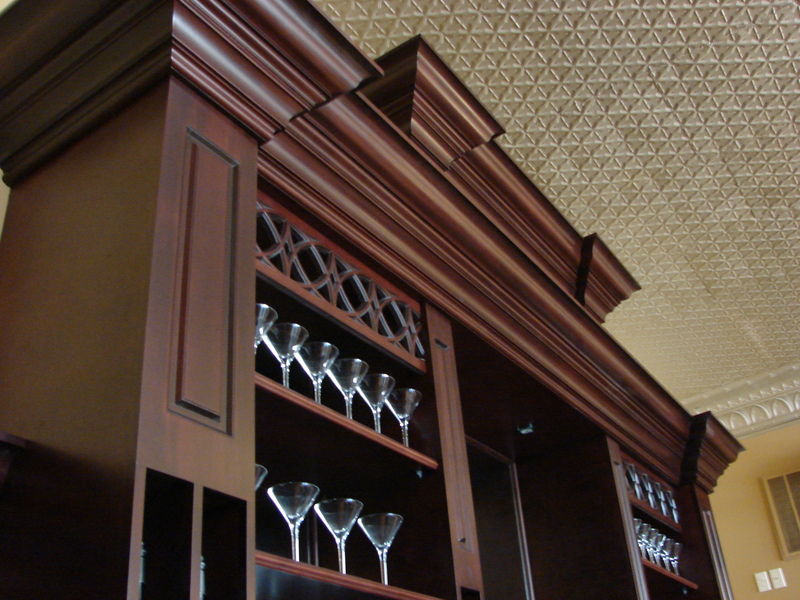 It is available in Poplar and Red Oak. 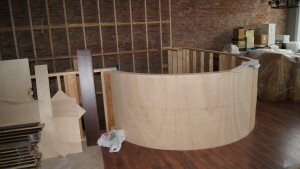 Special curved bar rails can be created with special orders. 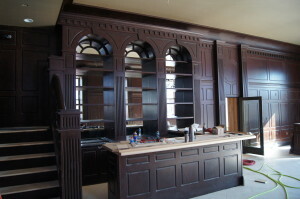 This renovation project is under construction. It is a new distillery in an old building. 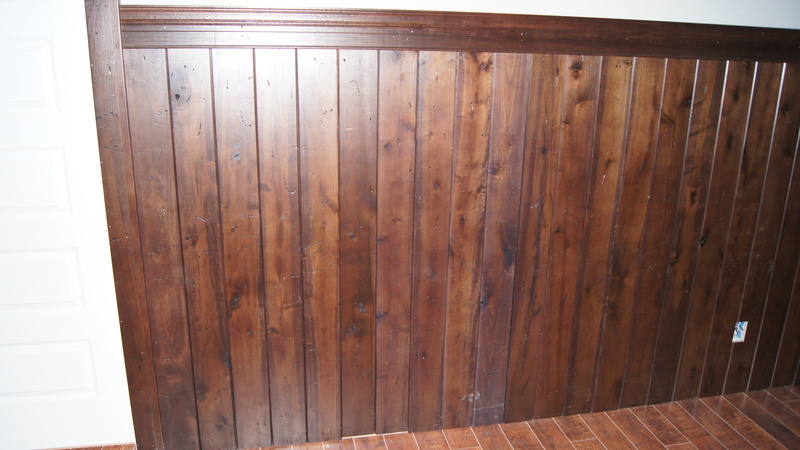 We used Poplar and Birch in a dark color with a dye stain for a very up-scale antique look. 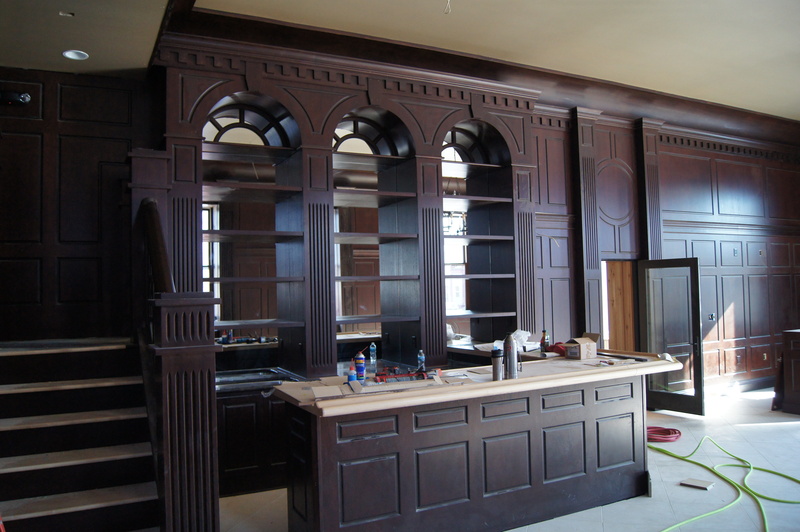 We wanted to stay with the old designs of the era of the building.